Family Discipleship Websites - C.H.E.B.W.A. The following sites offer a variety of parenting ideas and philosophies. Please pick and choose what works for YOU! Sally Clarkson has been a wonderful mentor for Christian mothers through her books, podcasts, blogs, videos and conferences as she shares the wisdom she has gained in raising her children. Surviving, teaching, and appreciating boys! Raising Real Men helps you make Biblical family life practical with articles, workshops, online classes, great resources, and character-building gifts. 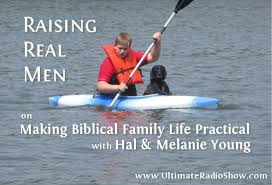 Sign up for Hal and Melanie Young's newsletter for ongoing encouragement and resources you need. Raising Homemakers is a blog dedicated to helping us instruct our daughters in the art of homemaking! Character Concepts, founded by Rick and Marilyn Boyer, offer a large line of character building lessons and books, hero stories, and much more. "We're so happy to have you visit the Character Concepts online. Our heartbeat as parents is to train up children (and now grandchildren) who are mighty in spirit and increasingly show forth the character of Christ. With that goal in mind, we have put a lot of time and effort into finding creative ways to teach God's truth to our kids. The products you'll find here are the result of lots of prayer, study, struggle--and trial & error. They've been kid-approved and family tested. We hope you'll find just the practical, powerful tools you need to address the many challenges in training up kids of character." Doorposts offers character training materials and printables. "Welcome to Doorposts! We're delighted and privileged to join you as you serve God by raising up godly children who love and obey His Word. Our goal is to provide you with Bible-based tools that make your job easier." In the Home School Digest, you'll find practical tips, simple suggestions and bold Biblical challenges that make up an open forum for wrestling through the complex issues that affect homeschooling families. The MOB Society helps you to reach the hearts of your boys for the Gospel & prepare a generation of men to love the Lord!